Babies are hungry little people, and they need plenty of nutritious food to continue to grow healthily. 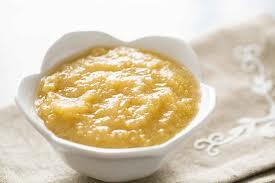 There are many types of baby foods, and many ways to make them. If you have a good baby food maker, you can reduce your cooking time significantly and make larger batches, so your baby is never hungry! If you are a mom looking for some new, tasty meals for your little one, see below for our 8 best baby food ideas! Peas are highly nutritious and are very tasty to many babies. They have more protein than peanut butter and also contain high levels of vitamin A and C while providing your baby with calcium and iron. If you want to make the texture more appetizing, simply strain the peas and smooth them out before pureeing them. The skins can give them a sort of rough texture that may not work exactly as planned for your child, so make sure to take this extra step. This is an excellent food for babies who are just getting off of the all-liquid diet and beginning the journey into solid foods. It is popular because it can be digested easily and is non-allergenic. Simply grind your brown rice in your baby food maker, turning it into a powder. Then mix with water and bring to a boil. This can then be combined with breast milk or formula, or fruits if your baby is already consuming some solids. Bananas have high levels of fiber and potassium which are both important for your baby’s development and digestion. Their natural antacid properties will also aid in digestion and help to reduce stomach upset. Due to their fiber levels, however, make sure not to feed your baby too much, as excessive banana consumption can lead to constipation. Fortunately, this is very easy to make. Simply add the banana to your processor and puree until it reaches the desired consistency. 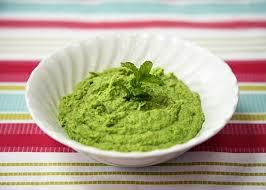 Another easy-to-make puree, this provides your baby with avocado which is high in good fats and proteins. It is also quite filling, meaning that your baby will be very satisfied with this meal! Avocados contain potassium, fiber, and plenty of vitamins, so they are a wholesome treat for both you and your baby. Known as a “brain food,” avocados can help with learning and brain development. Again, simply add avocado to your processor and puree it until it is smooth. Apples contain vitamin A, C, and folate, as well as plenty of potassium, magnesium, and calcium. Their sweet, juicy flavor makes that a favorite for many babies. You will want to steam your apples to soften them up first, and then mash them up with a potato masher or put them in your baby food maker to give them a smooth, creamy consistency. You can also add cinnamon for additional flavor but check with your pediatrician before doing this. Sweet potatoes are another highly nutritious food that really pack a punch of vitamins and minerals, as well as antioxidants and fiber. 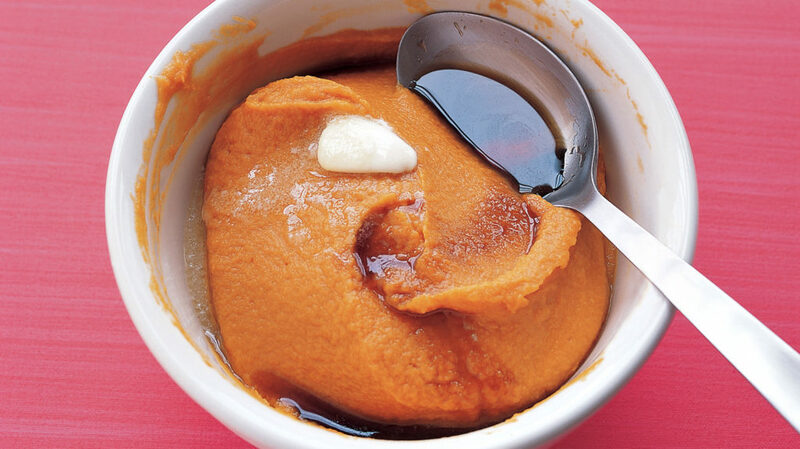 You’ll want to bake the sweet potatoes before preparing them to make them easier on your baby’s digestive system. Once they are cooked, simply puree them using your favorite method and they’ll be ready to serve. You can also add water or milk to thin the puree out if it happens to be too thick for you baby. When they are thinned, they are a great food for babies who are making the transition from liquids to solids. Purees are a common theme here, which makes sense because many babies aren’t quite ready for full solid foods. The sweet taste of carrots is very palatable to babies, but a full carrot is far too difficult for a baby to eat. 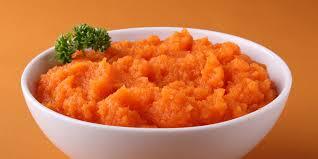 Boil your carrots to soften them up first, then puree them with water or milk to your baby’s desired consistency. If they are still too difficult to eat, you can always add more liquid. 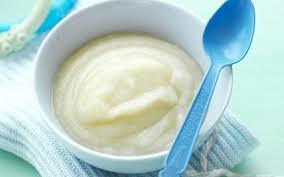 Some people also add chicken stock to their puree for older babies to provide them with more protein. As your baby gets a little older, you can start adding multiple ingredients to their meals. Spinach is extremely healthy, containing many vitamins as well as fiber to aid with digestion. 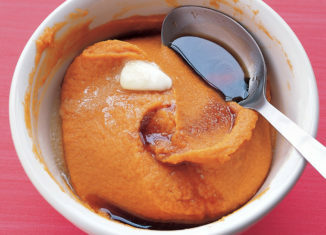 By adding in the sweet potatoes, you can diminish the bitter flavor that sometimes comes along with spinach. Boil or bake the potatoes first, then add the spinach and cook until it’s wilted and tender. 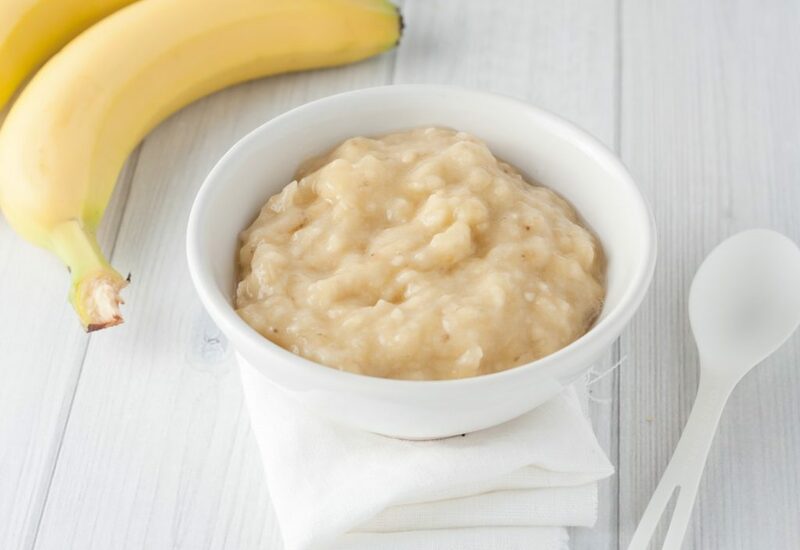 Puree these together with some water or chicken stock and you’ll have a tasty, nutritious meal that will introduce your baby to some new healthy ingredients!